PM Narendra Modi, who is on a four-nation tour, also sanctioned Rs 1 lakh from the Prime Minister's National Relief Fund (PMNRF) as ex-gratia to the next of the kin of the 32-year-old driver Ravindra Kumar who was beaten to death for espousing the 'Swachha Bharat', an official spokesman said here. 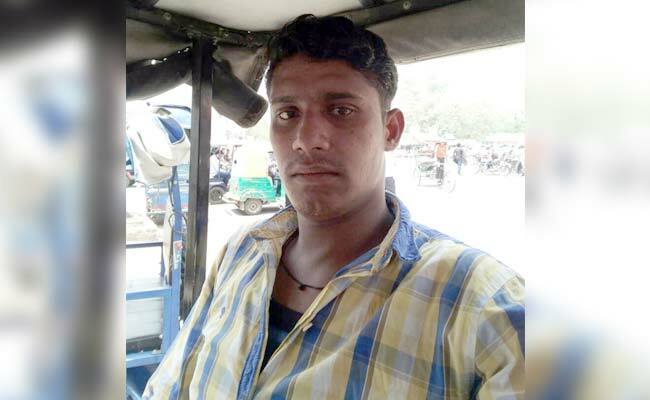 E-rickshaw driver Ravinder Kumar was beaten to death after he objected to two men urinating on a road. New Delhi: Prime Minister Narendra Modi tonight condemned the killing of an E-rickshaw driver in Delhi for stopping two men from urinating in public and directed the authorities to punish the culprits. PM Modi, who is on a four-nation tour, also sanctioned Rs 1 lakh from the Prime Minister's National Relief Fund (PMNRF) as ex-gratia to the next of the kin of the 32-year-old driver Ravindra Kumar who was beaten to death for espousing the 'Swachha Bharat', an official spokesman said in Delhi. Mr Kumar was beaten to death last night allegedly by a dozen men after he objected to two of them urinating outside the GTB Nagar Metro Station, according to the police. Two men had bought liquor from a shop near the metro station and consumed it near Gate No 4 last evening. They also urinated outside the station, to which the driver objected. The duo told Mr Kumar that they would get back at him later and left the place in another E-rickshaw. Around 8 pm, the duo, along with 10 others, returned to the metro station and attacked Mr Kumar. He was rushed to a hospital where he died.